In the winter of 1982, a tenacious kindergartner watching skiers cruise down the slopes of Boyne Mountain grew infatuated with the sport. Chrissy Evans was born without the use of her legs and limited use of her hands and arms, but that wasn’t going to stop her. She convinced her mother Darla to take her to Colorado’s Winter Park Handicap Ski Program where their lives—and the lives of thousands more—would be forever changed. On their trip to Colorado, Chrissy gained independence and freedom she had never known, zooming down hills on her own using specially adapted ski equipment. When they returned to Boyne Falls, Darla was so inspired by the experience’s impact on her daughter she set out to bring the same joy and empowerment to people at home in Michigan. 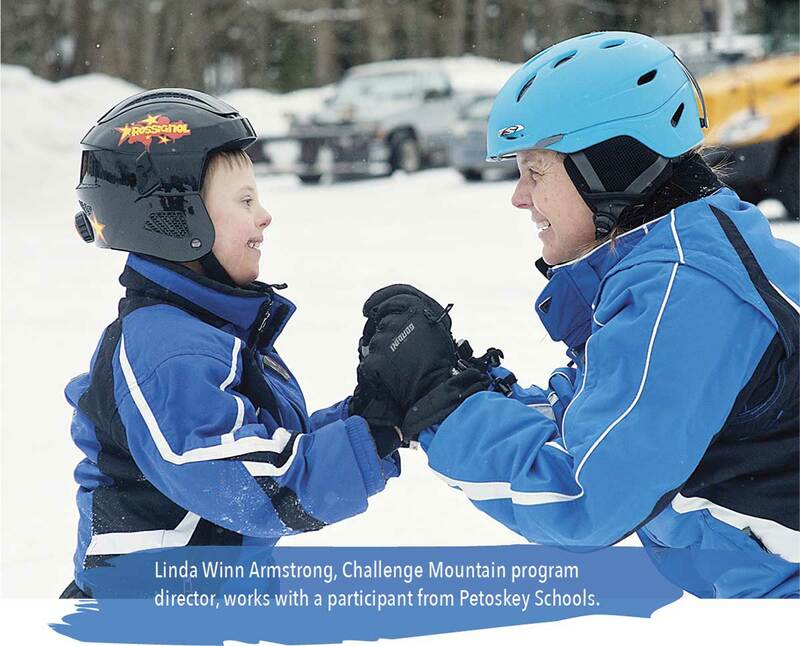 Just one year later, Darla realized her dream when she founded Challenge Mountain and the organization began offering an adaptive downhill ski program free of charge to any physically or mentally disabled adult or child. Challenge Mountain guided more than 140 skiers in their first year—but Darla wanted to go further. Darla’s dream was to one day offer year-round programming. So, with the support of Challenge Mountain volunteers and board members, they set out to grow the organization with that goal in mind. 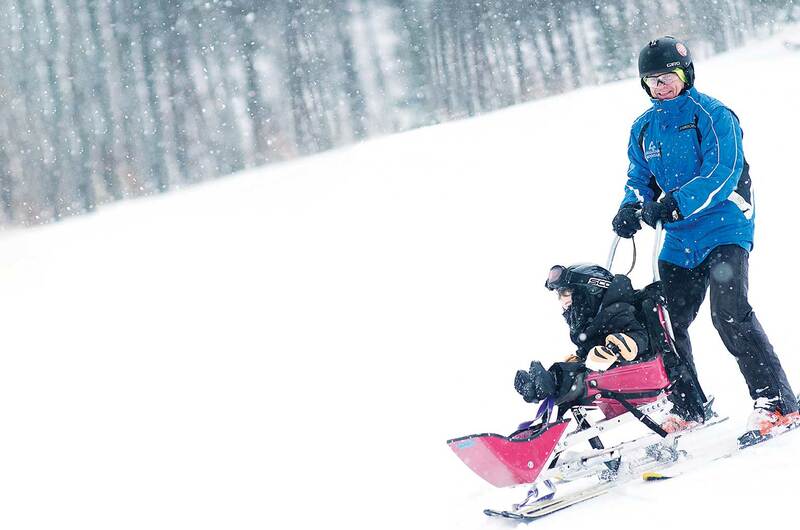 Challenge Mountain now offers year-round adaptive programs including biking, kayaking, ropes courses, equine therapy, fishing, cross-country skiing, snowboarding, snowshoeing, in addition to downhill skiing. 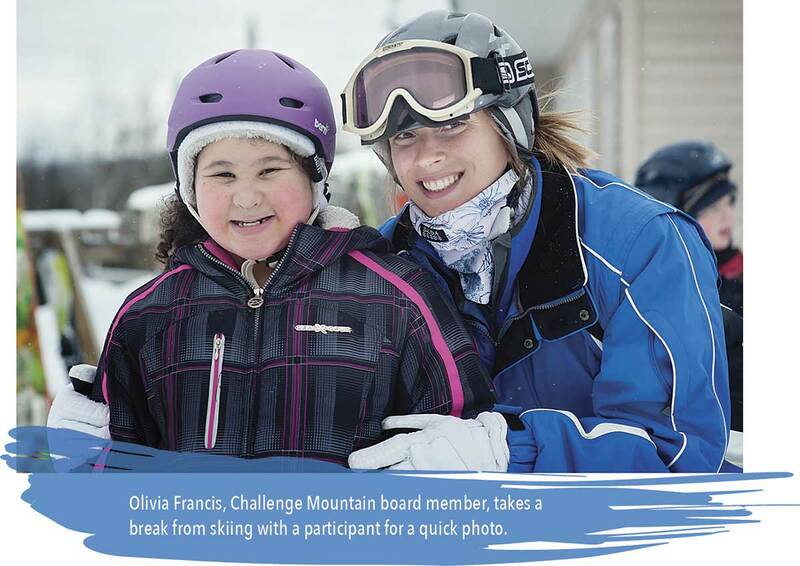 Challenge Mountain believes having access to and participating in recreational and social activities is integral to well-being and fulfilling life for every person. 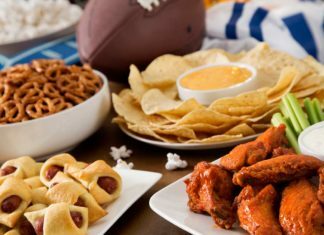 The organization strives to consistently provide the absolute best recreational experiences for all who come to play, learn and enrich their lives. 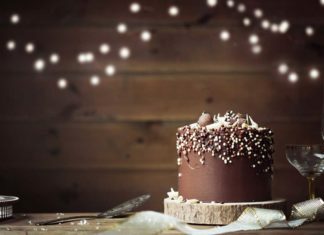 They believe that all people—regardless of ability—should have opportunities to experience life and adventure. Their passion and dedication in this belief drives Challenge Mountain’s staff and more than 70 resale store and programming volunteers to provide nearly 2,000 adventurous experiences per year—free of charge. Challenge Mountain’s passionate volunteers and community supporters, along with the organization’s resale store sales, help them provide these life-changing experiences at no cost. Great Lakes Energy’s People Fund is proud to be among the organization’s community supporters—but Challenge Mountain is also thankful for other benefits of their co-op membership. As an organization that utilizes Michigan’s many natural resources to support their mission, Challenge Mountain is proud of the co-op’s leadership in renewable and carbon-free energy through power supplier Wolverine Power Cooperative. For Challenge Mountain, protecting Michigan’s outdoors means more than protecting beauty and splendor. It means fostering the foundation to provide hope and empowerment for individuals to challenge themselves in all-seasons—and beyond. “We are continuously inspired by the feedback we receive from the families we serve,” said Gertz Looze. Now, 35 years after taking a cross-country trip for a girl with a dream, Darla’s vision has realized a world of possibilities for thousands of individuals with disabilities and their families through fun experiences, making and sustaining friendships, building confidence and independence, and fostering positive and hopeful expectations for living life with a disability. 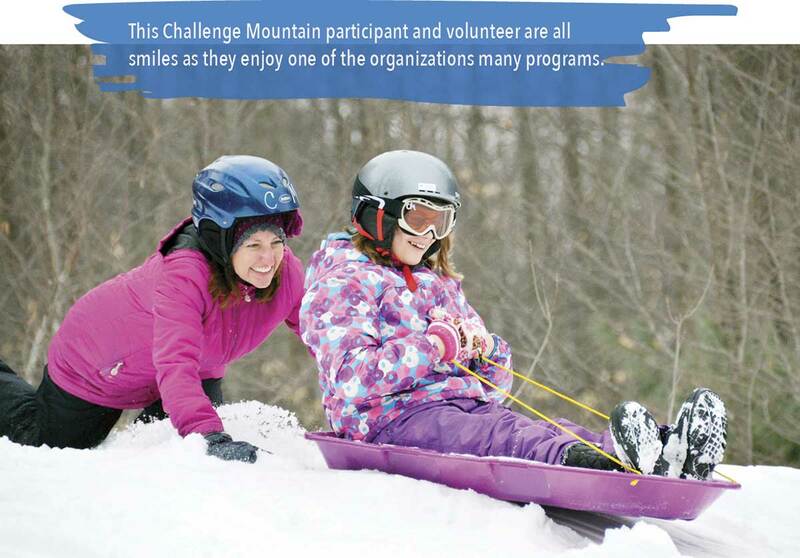 Visit challengemtn.org to learn more about their programs and how you can support Challenge Mountain. Brittany is the communications specialist at Wolverine Power Cooperative. Brittany and her husband, Carl, live in Cadillac where they enjoy spending time outdoors and enjoying all that Northern Michigan has to offer. Thanks for giving this most terrific program added publicity! Every time I volunteer on the slopes it brings a tear of joy to my eyes…such a special place for special people to enjoy and grow!